Attending UKLUG? You need to take part in This Week in Lotus Live! On Monday lunchtime (11:50-13:00), Darren and Stuart will be recording another This Week in Lotus show with a panel of experts live on stage at the conference. Warren Elsmore and the organising team have kindly offered us one of the break-out rooms at the conference for the recording. So go grab your lunch and a drink as quickly as you can and come back to join in with the show. We’ll have entertaining discourse, questions from the floor, a lot of laughter and no doubt a little heckling too. We even have some very very cool This Week in Lotus goodies to give away too. However, you’ll have to be there to get hold of them! So put it on your diary. 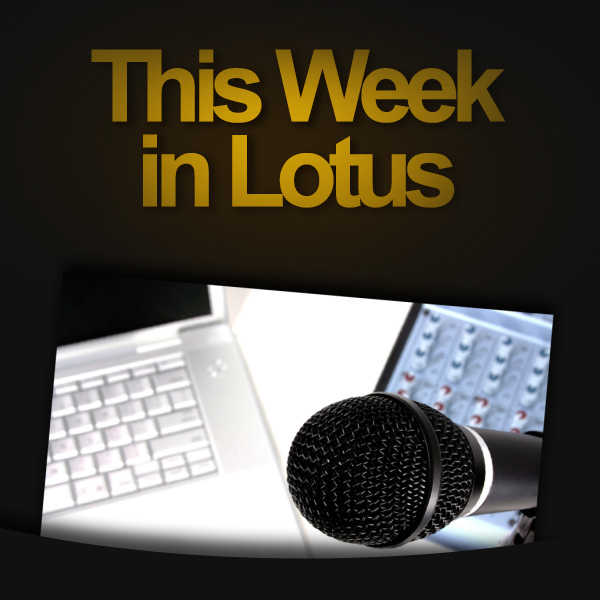 This Week in Lotus Live at UKLUG, Monday lunchtime. Be there! Oh, and of course we’ll be releasing the show as the usual podcast next week, so if you can’t be in Manchester in person, get your own one hour dose of the atmosphere by listening to the episode at home.